We specialize in custom design jewelry. Our team of designers and jewelers have extensive experience in creating breathtaking custom made engagement rings and custom jewelry, from concept to completion. We're England Jewelers. We Eat, Sleep and breath Weddings! Thank you, for letting us be part of the moment ! 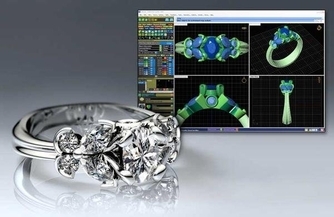 The custom design process at England Jewelers is all about the customer. We specialize in custom jewelry design. We want to sell you what you want not just what we have in our show cases. The competence required for creating original works of merit requires knowledge in a wide array of techniques. England Jewelers have spent years finding and hiring the best artisans and acknowledged masters in this field. Talent in learning how to form the perfect marriage of gem with mounting, learning to execute exquisitely refined finishes and relate all of this to the goldsmith is truly a labor of love. Known worldwide ~ we have clients in China ~ Across the United States~ and in Europe. Also known in a small circle of celebrities. What we are best known for is taking a client's Dreams and transforming them into beautiful, wearable jewelry, through the process of consultation, and Cad Drawings. We think you'll like the way we do business..... Good intentions are no substitute for hard work, honest dealings, and experience.